Frame in steel and suede leather. Seat in Cashmere and Batyline. Dim. cm. 82 x 100 x h. 108. 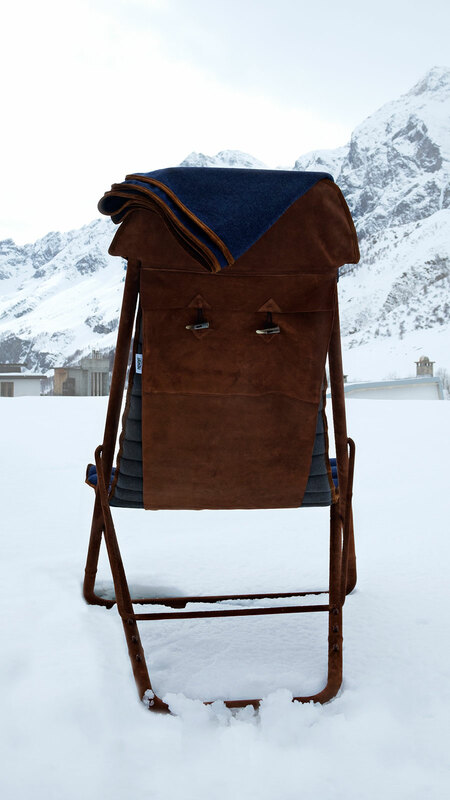 The first outdoor deckchair created in such valuable materials as cashmere and handmade suede leather. The research for “something special, that does not yet exist”, pushed designer Umberto Radice to create Imperial. 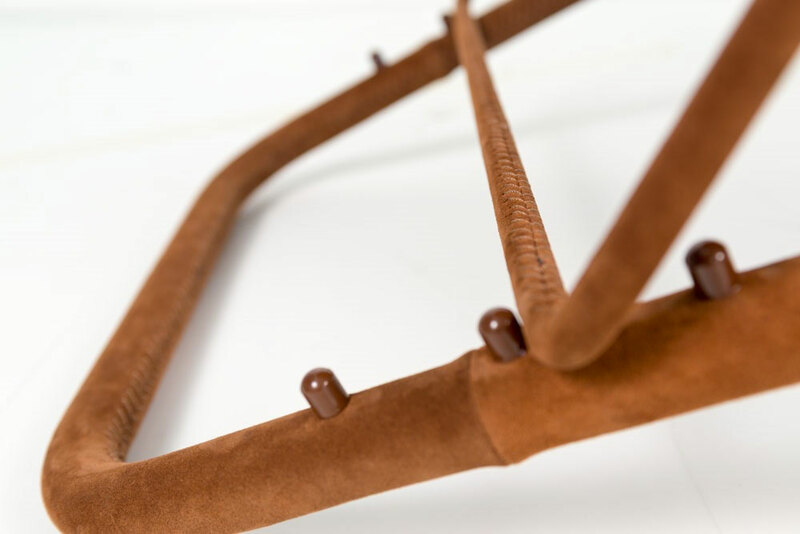 The frame is in stainless steel, fully covered with suede leather. 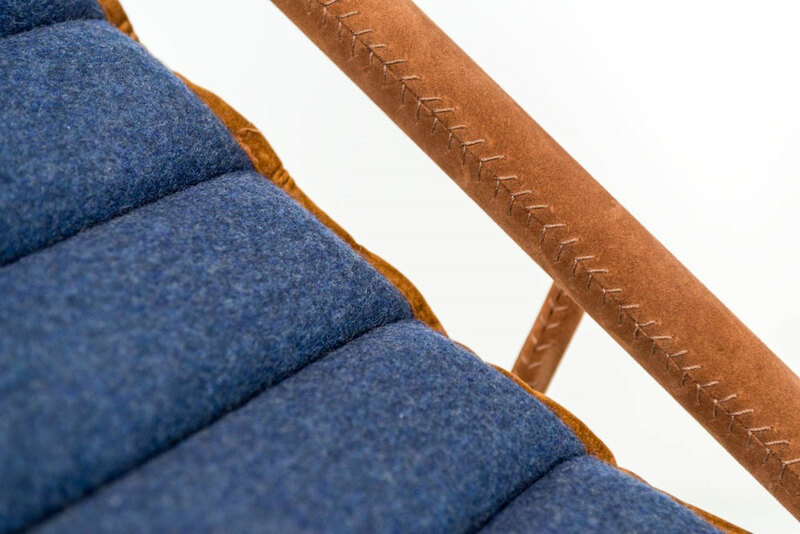 The seat in Batyline is padded and covered with blue and ecru coloured Cashmere. Every detail, completely handcrafted and finished with exceptional materials, is absolutely extraordinary. 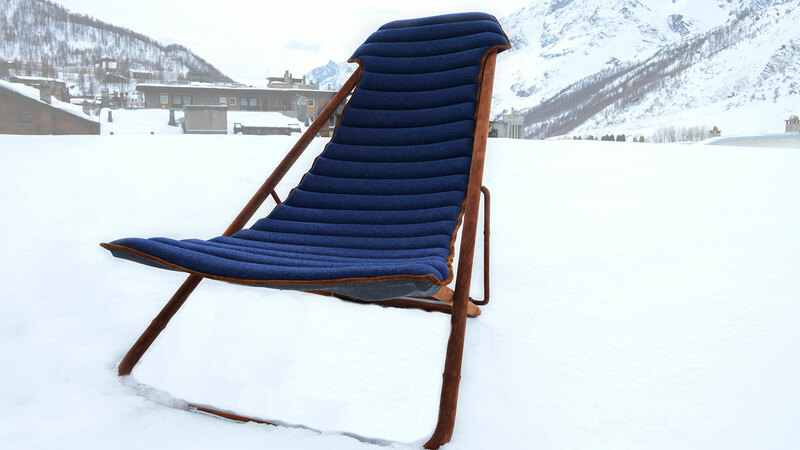 The deckchair, in all its elegance and despite the use of very luxurious materials, is suitable for outdoor use. Its generous size is cm. W 82 x D 100 x H 108. Seat height is cm. 36. The backrest is tilt adjustable. The blue cashmere blanket visible in a photo is sold separately. 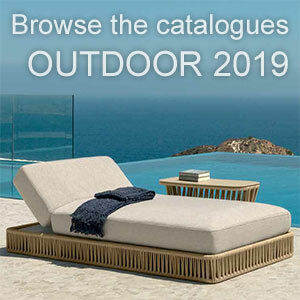 It is a soft accessory, ideal to benefit from the comfort of the deckchair even when the outdoor climate will be colder. 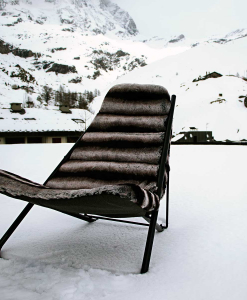 Perfect as well at home as for contract use (high-end hotels, bars or restaurants), it furnishes successfully the best mountain chalets.